With a distinctive new way to achieve fresh, clean air, our Large Room Air Purifier is a whisper-quiet solution for your home’s impurities. 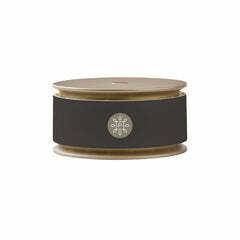 First, an odor-killing Activated Carbon Pre-Filter captures pollen, allergens, pet dander and dust. Next, a True HEPA Filter removes invisible pollutants and bacteria as small as 0.3 microns. Choose from our 100% Pure Essential Oils to enhance the environment in any room. Handcrafted of food-grade stainless steel, our Carbon Filter Water Decanter eliminates impurities in your family’s drinking water - resulting in water with a silky, smooth taste. Easily stored in a refrigerator or on the counter, the Premium Carbon Block Filter assures every glass will be purified, clear, delicious and odor-free. 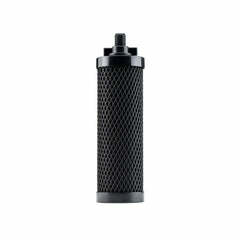 The Pure Company Premium Carbon Block Filter is not available in California. California Residents will receive The Pure Company Standard Carbon Block Filter which is designed to provide high quality drinking water through a gravity type application for municipal treated water supplies. The molded block technology is specifically designed to improve taste, clarity and odor without using water pressure or pre-wetting procedures. Sleek in design and compact in size, our Portable Air Purifier makes it possible to have clean, fresh air wherever you go. Designed with an aromatherapy feature, you can also scent your room, office or hotel room with our 100% Pure Essential Oils — and it fits easily in a suitcase or tote in its portable carrying bag. Our set of three custom blend 100% Pure Essential Oils – Clarity, Fresh + Comfort – brings clean, nuanced fragrance into your space without any synthetics, chemicals or fillers. Created to evoke positive moods, these essential oil blends are also a safe, natural way to curb odor. The Pure Company's own Interior Designer Jamie Ley curated this collection of stylish wraps for the Portable Air Purifiers. Easy-to-apply, removable adhesive makes customizing your air purifier a breeze. After all, just because you're on-the-go doesn't mean you should stop being fabulous. We created our products with your needs in mind because after all — they’re our needs, too. Designed to pull double-duty and exceed your expectations, we worked with female designers to bring you purification products that feature everything you want all in one beautiful design. We believe natural is better. That’s why we created our products with safe and proven purification technology. You can see, taste—even smell—the difference. A natural element, carbon is porous and acts like a giant sponge to completely—and quickly—absorb and remove odors. One of the highest grades on the market, our True HEPA Filter traps 99.97% of problem air particles - even those as small as 0.3 microns. The Carbon Pre-Filter also helps capture dust and dander first, so your HEPA lasts longer. The days of artificial fragrance have come and gone. Our plant-based 100% Pure Essential Oils are created with no synthetics, chemicals or fillers. 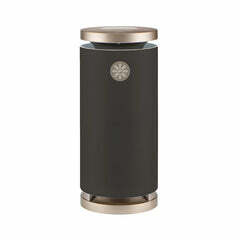 "I couldn’t believe an air purifier this beautiful would work as well as the loud and ugly ones I've had in the past. With products designed by women, this was a company I wanted to support." “I have a cat and a dog, and pet dander drives my sinuses crazy. After using the Large Room Air Purifier, I feel noticeably better and my apartment smells amazing.